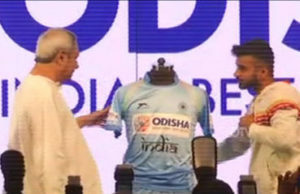 New Delhi: Chief Minister Naveen Patnaik unveils new jersey for Hockey India. CM Naveen Patnaik declares that the Odisha Government to sponsor both men’s and women’s teams for next five years . Patnaik said while unveiling the new jersey of Indian hockey teams for the upcoming Hockey World Cup here at a special function held at the Lait, Barakhamba Avenue this morning. New logo on the Indian national hockey team jersey is a summation of Odisha. At it’s heart the Konark Wheel, the endangered Olive Ridley turtles, the Odissi dance form and of course hockey. 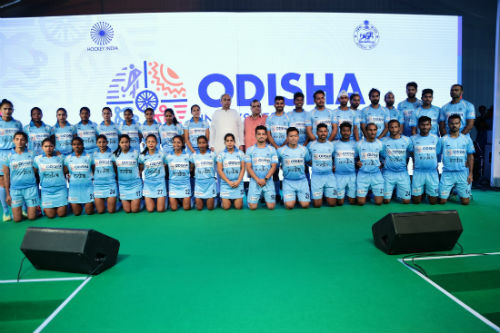 Hockey is way of life in Odisha particularly in the tribal regions and we are happy to be the sponsors for Team India (men and women) for next 5 years, says CM Naveen Patnaik after unveiling jersey for team India for Hockey World Cup. This is a first where a state government will not just be promoting a sport within its boundaries but will support and nurture the Indian Hockey Teams. 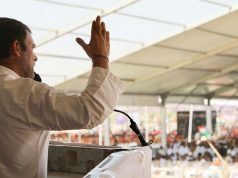 This is Odisha’s gift to the nation said CM Naveen Patnaik on the occasion.